Confused where to stay in Healdsburg and Russian River area? 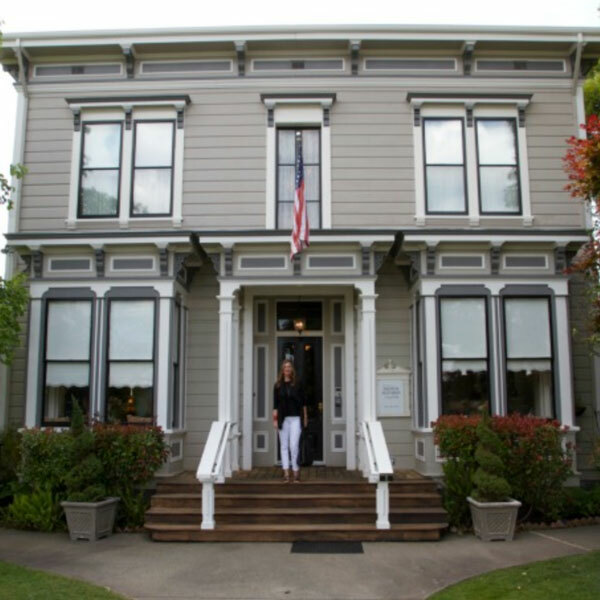 Trust Local Wally to show you the BEST HOTELS in Healdsburg from budget friendly to luxurious. For many people wine tasting in Healdsburg and the Russian River area is the ultimate experience, a vacation that's still wine-focused but adds the charms of a small town and rolling countryside. Cruise the stretches of road dotted with vineyards and pine trees, stop in at a Mom and Pop winery, experience wine tasting at a leisurely pace. If your vacation is based on wineries in this area don't make the mistake of trying to commute from Sonoma. It might look "close enough" on a map but you'll want to stay right there to get the most of the area. And guess what, Healdsburg and surrounding areas have no shortage of cute and quaint places to stay, from budget to bungalow to downright luxurious. You also might be interested in Sonoma Hotels or Winery Cottages. If you're staying in Healdsburg make sure you check out the local events calendar for free concerts, farmers markets, and other local events. For an expanded calendar of everything happening in the area, including Guerneville and Forestville, this events calendar captures it all. If you're coming in March pay attention to the Barrel Tasting Event, a cool way to sample a lot of wine for cheap. And don't forget that your Priority Wine Pass works in Healdsburg and the Russian River as well, giving you two for one tastings at a number of top wineries. Best Western Dry Creek Inn is a budget hotel that doesn't feel cheap. Summary: Free breakfast, clean rooms, pool, good location. Wally Says: Not for honeymoons unless you want to go straight to divorce court. Budget cabins with a hipster sort of low budget charm. Rustic and basic. Wally Says: Adventurous types will love these historic cabins on the Russian River. Six modern and minimalist cottages near downtown Healdsburg. Summary: Great location, walk to downtown restaurants, contemporary. Wally Says: Not for kids or grandma but trendy millennials will love it. An actual farmhouse from 1872 now a luxurious and expensive spa hotel. Wally Says: First class luxury hotel with all the trimmings, Farmhouse Inn is honeymoon perfect. (Guerneville) Homey and nostagically charming 1920's vacation cottages. Summary: Surrounded by redwoods near the Russian River, clean and friendly. Wally Says: Won't break the bank, step back in time and stay in a cozy cottage. 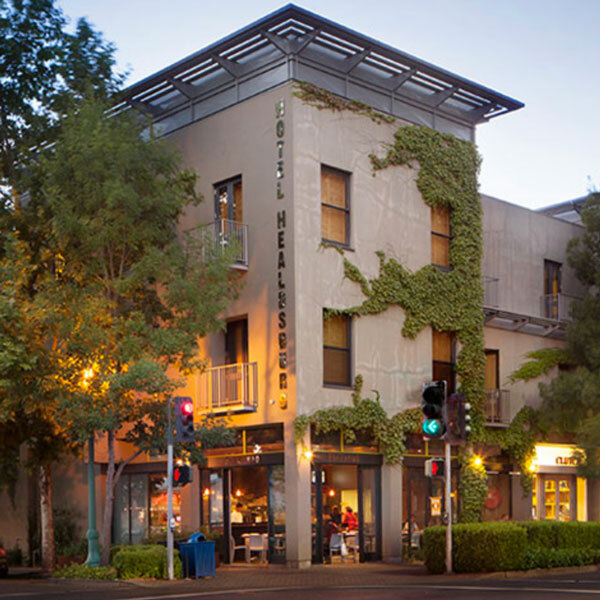 Modern and contemporary hotel near downtown Healdsburg. Summary: Trendy and cool hotel with popular Spoonbar restaurant below. Wally Says: LEED certified keeps everything green except your wallet. Fancy Bed and Breakfast Inn located on 4 acres with resort amenities. Summary: Beautiful building with manicured grounds a mile from downtown. Wally Says: Rooms are well appointed though a bit Grandma-ish. Hip and trendy vibe with comfortable contemporary rooms. Summary: Sister hotel to H2, slightly more upscale, aimed at a more refined crowd. Wally Says: Cool and chic without being cold and sterile. European inspired hotel with antiques, rich fabrics and four poster beds. Summary: Like living in luxury in a Parisian hotel. No pool, very French feeling. Wally Says: Elegant hotel for elegant people, you will either love it or hate it! Did you Know You can Stay Overnight at a Winery? Complete List here.